WASHINGTON, March 14, 2019 /PRNewswire/ -- The Fair Labor Association (FLA) today announced that its board of directors has accredited the social compliance program of Under Armour, Inc. (NYSE: UA,UAA). The accreditation confirms the company has strong policies and practices in place to set goals, monitor, and remediate problems to improve conditions for the workers within its global supply chain. "I applaud Under Armour's commitment to embedding international labor standards and best practices into its global sourcing operations. The people who make the products that bear Under Armour's name deserve to be treated with dignity, respect, and fairness," said Sharon Waxman, FLA President and Chief Executive Officer. "The FLA's rigorous accreditation program is based on human rights principles, and achieving accreditation is an important and meaningful milestone in Under Armour's long-term effort to improve conditions for workers in its supply chain." The accreditation process is a multi-year examination of a company's labor compliance program that supports increased corporate transparency. In support of this effort, Under Armour has published a factory list representing approximately 90 percent of its production volume, including licensee factories that produce collegiate products. As a leading inventor, marketer and distributor of branded performance athletic apparel, footwear and accessories, Under Armour's innovative products are sold worldwide to consumers with active lifestyles. The global brand now joins the FLA's network of accredited companies, which includes leaders from the apparel sector. "We are proud to have been recognized by the FLA for this significant sustainability milestone," said Patrik Frisk, Under Armour President and Chief Operating Officer. "The FLA's multi-stakeholder composition – which includes civil society, university and business members that hold brands and suppliers accountable for their labor compliance performance – is a holistic approach that empowers our goal of becoming a more operationally excellent company." The FLA is the only organization of its kind to which brands and suppliers commit to meeting the standards of transparency, regular review and assessment of corporate systems that support workers' rights. For more than 20 years, the FLA has worked to establish its accreditation process as the gold standard for a systems-level approach to human rights compliance and social responsibility. Participating companies must regularly assess supply chain production facilities for adherence to international labor standards and pursue continuous improvement efforts to address conditions for workers in order to achieve accreditation. "We believe that our FLA Affiliation will continue to make the conditions for workers in the global supply chain and Under Armour, better," said Michael Levine, Under Armour Vice President of Sustainability. "We see accreditation by the FLA as a way to demonstrate our commitment and impact to key stakeholders, including the people who make and buy our products." Board and executive level commitment to improving conditions and protecting workers, including the creation of Under Armour's Sustainability Leadership Council, which includes senior managers from key departments. Regular training on workplace standards, transparency, root cause analysis, and health and safety for strategic suppliers. The creation of procedures to ensure workers have access to and are aware of the multiple grievance channels they can access, including directly to UA via confidential reporting. A comprehensive monitoring program that includes pre-assessment meetings with unions, worker representative structures, and civil society organizations. Demonstrated engagement with civil society and union representatives in key sourcing regions, especially East Asia, Southeast Asia, and Central America. The FLA recognizes the complicated nature of labor compliance programs and that at times there will be instances when a specific principle or benchmark is not met. The FLA provides ongoing programmatic recommendations to further every affiliate's labor compliance in support of the FLA mission to protect worker rights and ensure decent working conditions. 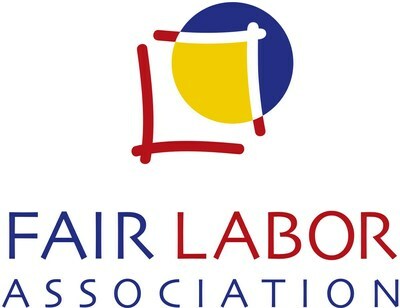 About Fair Labor AssociationThe Fair Labor Association promotes and protects workers' rights and improves workplace conditions through collaboration among business, civil society, and colleges and universities. The FLA conducts transparent and independent monitoring to ensure that rigorous labor standards are upheld wherever FLA affiliates source their products, identifies root causes of non-compliances and proposes solutions to workplace problems. About Under Armour, Inc. Under Armour, Inc., headquartered in Baltimore, Maryland, is a leading inventor, marketer and distributor of branded performance athletic apparel, footwear and accessories. Designed to make all athletes better, the brand's innovative products are sold worldwide to consumers with active lifestyles. The company's Connected Fitness™ platform powers the world's largest digitally connected health and fitness community. For further information, please visit https://about.underarmour.com.